One of the greatest facets of my job at Yellowfin is the opportunity to continually scan the industry and see new innovations develop. Each year, we see many technological advancements and products come to market that influence the way we consume data and enhance the way we work with analytics. At the end of 2018, the Performance Magazine editorial team interviewed Glen Rabie, CEO at Yellowfin, Australia. His thoughts and views on Business Intelligence (BI) Performance are presented in detail below. I think the most successful organizations are those that are transparent, where there is a global understanding of the strategy and the KPIs required to achieve success. Ignorance can be bliss, however it can also be very punishing. Let me confess that I learned the hard way that there is a big difference between “implementing technology” and “implementing a business solution”. February of 2017 marked the release of a year-long expected report, the Magic Quadrant for Business Intelligence and Analytics Platforms published by Gartner. 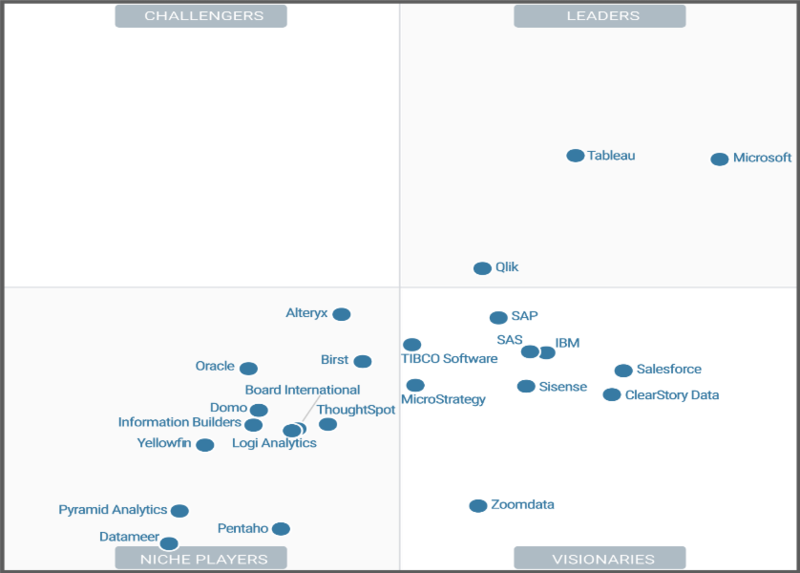 February of 2016 marked the release of a year-long expected report, the Magic Quadrant for Business Intelligence and Analytics Platforms published by Gartner.